Your gift to The Vital Ground Foundation supports habitat conservation for grizzly bears and other wildlife in the Northern Rockies as well as community programs that prevent bear-related conflicts. As a 501(c)(3) nonprofit organization, our success depends on conservation heroes like you! You’ll help protect and connect vital habitat for grizzly bears and other wildlife in the Northern Rockies. You’ll support Vital Ground’s community partnerships that prevent conflicts between people and bears. You’ll help push us toward the vision of a connected wild landscape from Yellowstone into Canada. 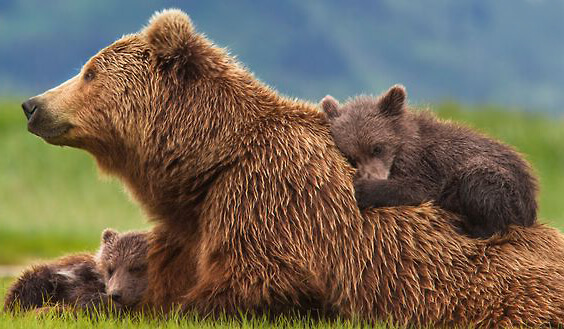 You’ll donate to the world’s only land trust dedicated to grizzly bear conservation! If you are having difficulty completing your donation, please call 406-549-8650 or email info@vitalground.org.